The purpose of Ohio Military Kids camp programs is to provide positive youth development experiences for youth with parents deployed in military service. Camps provide an opportunity to be with other youth in the same situation, to learn new things, and to have fun in an outdoor setting. Trained teen camp counselors, Collegiate 4-H members, and adult staff from Ohio 4-H and the military are working together to make these camp programs both fun and educational experiences. BASIC is Building A Stronger Individual and Community. Grit is defined in Webster’s dictionary as “firmness of mind or spirit and unyielding courage in the face of hardship or danger.” Ohio Military Kids wants to help military kids have grit, through helping them learn about resilience. Through activities at camp, or day events, kids learn about what grit means to them, and how they can have in their everyday lives. 2016 Going for the... GOLD! This year, gold is so much more than a medals. Youth and families throughout the year, learned about going after their own gold medals, their goals. Goals to some might be trying new experiences like a high ropes course, riding a horse, or singing a fun camp song. Ohio Military Kids challenged youth and adults to set goals during one of the events, or in their personal lives. 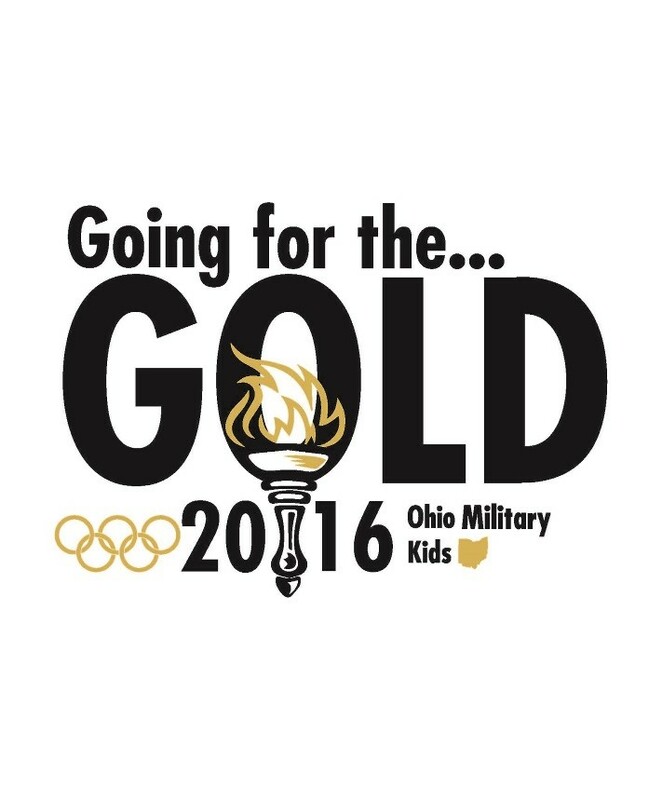 Ohio Military Kids supports military kids and families to help achieve their goals as individuals or as a family. From time to time we all need someone to lean on! 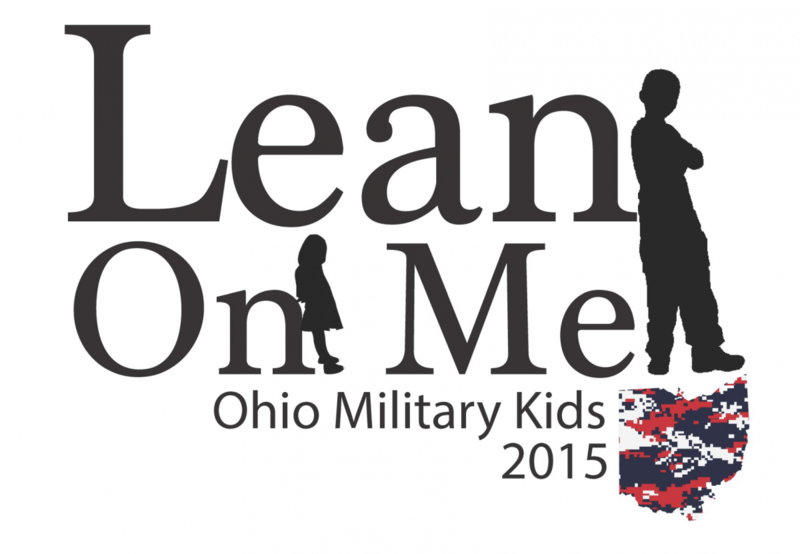 With Ohio Military Kids everyone has that somebody to lean on. While youth from all around the state come together to have fun, there is something even more important happening. While at our events, youth get to meet know other individuals that are just like them. Depending on where the youth live, they may not know any other military kids in their area. But when they come together with other military kids, they get to lean on other military kids for support. 2014 camping season brings OMK participants to their Port of Call! Ships often use this term when they dock or make stops in their voyages. The idea behind Port of Call is that military youth will often have to face many different stops in their own voyages. Military youth will use Port of Call to think of about the type of port of call they are headed to individually, how different destinations in their life are equally important, and that life is an adventure! Keep Calm and CKI is a spin-off of the popular saying Keep Calm and Carry On. While today this slogan can be seen on t-shirts or college dorm posters, it was originally used on a British propaganda poster at the beginning of World War II. This poster was never publically released, and wasn't discovered until 2000. This motto will be emphasized throughout the 2013 Camping season. Using this motto, youth will be taught to be resilient when faced with the difficult challenges that come from being a part of a military family. Register for Camp Kelleys Island in order to learn how to Keep Calm and Carry On! Good luck Hunting the Good Stuff! GRIT stands for Growth, Resilience, Initiative, and Tenacity and was the featured core curriculum at Camp Kelleys Island and other camps this summer. These four aspects are essential for every military youth to work toward in order to handle the daily stresses that deployment places on their lives. Staff, counselors, and youth were constantly on the lookout for experiences and teachable moments that could be connected to one or more of the four components. We ask you, got GRIT?